It all started with an idea: can we create films for Virtual Reality headsets? This was 9 months ago. 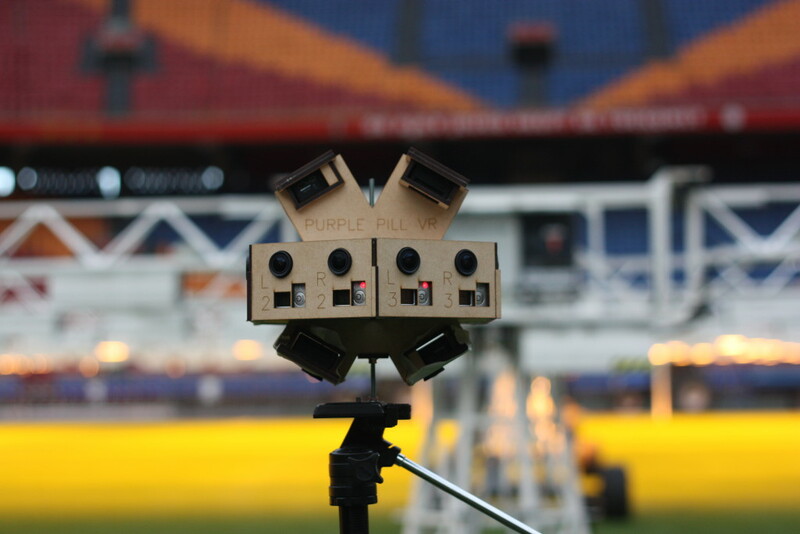 The first major hurdle was to develop a camera that can film on all sides in 3D. With our own money and some friends who were generous enough to let us (ab)use their GoPros, we created a working prototype out of wood using a laser cutter… and it worked! This prototype was enough to convince two investors to inject some much needed cash, and Purple Pill VR was born. We upgraded from a wooden camera to a 3D printed one, and have been improving the camera design ever since. It took us months of searching, experimenting, and sleepless nights to come up with a camera design that actually works. When we told people we were thinking about giving away our camera designs for free, they told us we were crazy, because it would destroy our competitive advantage. However, we believe that the success of VR depends on the quality of the available content. That’s why we want to enable as many people as possible to start creating their own mind-bending cinematic VR productions. This is also the exact reason why we will be launching our Cinematic VR Crash Course later this month; to help people to get started with this exciting new medium. In our early days we knew nothing about VR, we literally learned everything from blogs and forum posts. It just feels great to be able to give something valuable back to the VR community. We also see a lot of great spin-offs from the open-source Google Cardboard design. Companies like DODOcase jumped on it. They started improving the original design and built a business model around it. We sincerely hope our camera designs will also be altered, improved, and used to create new businesses. But we must admit, part of the reason for walking the open-source path is also because we’re a bit lazy. We could choose to set up a complete distribution chain and start selling our 3D printed mounts for a lot of money, like 360Heros does, but thinking about the amount of work and help desk hassle this would entail made us reconsider. Bytes are easier to distribute than plastic, and now everyone with an idle 3D printer, like universities and hobbyists, can create their own 360° camera with ease. 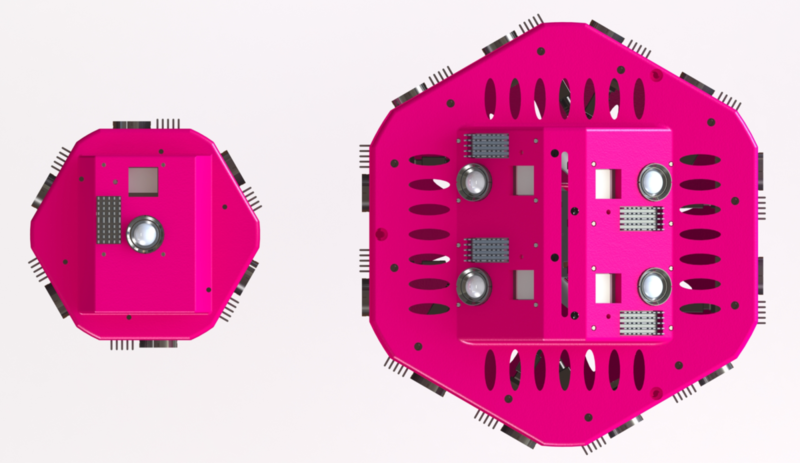 We currently offer a 360° 2D design as well as our flagship 360° stereoscopic 3D mount. We’ll also share a customized Google Jump design as soon as Google releases the design specifications to the public. 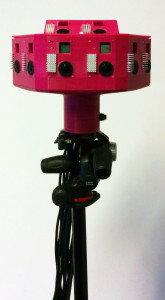 So let’s say you decide to 3D print your own 360° camera using our designs, then what? Well, the first step is to make sure you gather all the hardware you need, like cameras, nuts, and bolts. Along with the designs, you can download a parts list with links to suppliers to make this step of the process a breeze. We’ve also included a brief tutorial on how to put the camera together. Also we created a forum where you can post any questions regarding the camera designs as well as anything else related to 360° video and cinematic VR. We will be closely monitoring this forum and will answer any questions you might have. If you’re a 360° video veteran already, you can also answer other people’s burning questions.